Summer has been somewhat hot: some people even gave it a name “The Lucifer Heatwave”. Its Obvious to anyone who have got eyes that global warming is already here. I am not scared about it, the earth will look after itself it always does: it’s us, the people, that will suffer. Don’t get me wrong I do think we should do something about it, but I have this approach to activism that is very simple: I don’t believe we can change it without changing ourselves. This takes me to the core issue I’m dealing with these days. 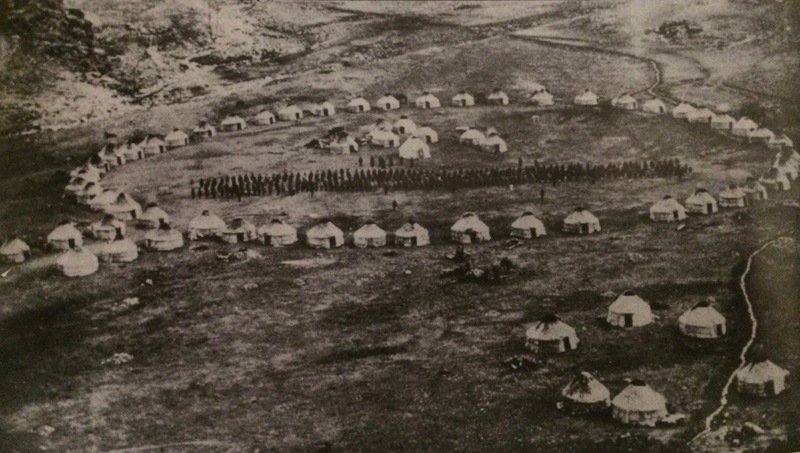 We are working on the creation of a very special type of performance/event series, the idea is one we have been working 5 years to realise, is to create a sort of tented camp, based on the nomadic designs, a sort of contained travelling city with a heart. The heart of that city, or performance if you wish, is the Zodiac Yurt Palace. It’s a sort of tent venue that hopefully can address the real issue, that we, “the white race”, have lost our connection to this earth and to each other. It’s a blatant opposite to our work in the Glamping world – to take an individual into a sort of togetherness, an experience that will focus on taking us into a connectivity. The idea behind this show, this series of events, is to take people back into a state of mind and of being which is primal, and hopefully to help address the real issue, that we have lost our place in society, our role as beings on this earth. I’ve been writing a lot lately about the fact that many people we know, take to other cultures as a solution to move away from where the Western world has got to. My experience from travelling for 16 years, and from studying other cultures is this – contact with the white race has always brought disaster, but also that the core of the issue seems to be that there is this mental disorder that affects everyone in western society, and simply being exposed to it seems to spread it to any other society or people, so I guess, to me it seems like an answer must come from the western world, from the white people. Like our friends, we hope to glean something that is lost here, from other cultures, and we wish to use it to find a way to help people back into a state of being that we never get exposed to anymore. In working with people at our events, we have noticed that it can take over a week for people just to shed off the problems of being in society, the city, the demands. It’s little by little that their natural inner being comes out again: that’s why its all worth it, for those moments when they break through, when they go home and make a little difference. I admire those friends that go and live with the Indians, people leave their lives and uproot into native and indigenous society but I feel like my place is here, in Europe. 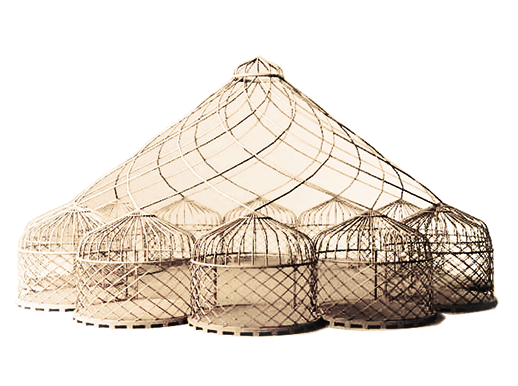 And so this platform has come into being, we aim to use the biggest yurt palace ever made as a centre to take people into another state of being. It’s called together. The yurts of the zodiac tent are all in a circle so there is less room for each person to go into his separate self. Instead we each are almost pushed into being together, then the central arena is also a place that hosts performance, but the line between the public and the show is eliminated, so it’s a series of lead participatory workshops, where the performers and the public are one. The idea behind this venue is to try and work out a remedy for this mental Illness, to use Glamping for sustainability, and inner work as the torch bearer. We teach groups about telepathy, and inner psychic ability, how to affect others through service, and working together, but more than all we teach others about this space, the group mind, where miracles seems to happen, and so this performance we have been working on is the real focus, to raise this tent as a sort of hospital, where we can connect to our real network, to open up to a state of being that is lost in the West, and to affect the cure for the separation we all hold so dear. If you are reading this and this is something that inspires you, we are now working on two parallel groups: one in Europe and one in the USA. We are looking for people to be part of the logistics, the performance and the network that operates this show, so feel free to contact us to talk about it in detail.